Trend Report: Extend Your Cocktail Hour! Today on the blog, we have a GORGEOUS wedding we had the pleasure of being a part of recently that was held at one of our favorite venues, the Natural History Museum of Utah! Generally speaking, this venue doesn't need much decor to make an impact because it's designed so beautifully inside, so it's perfect for couples looking for a modern, clean design - and even more perfect for those who want to treat their guests to gorgeous views while enjoying delicious food! Speaking of which, one of the trends we are seeing a lot of lately is the idea of hosting an extended cocktail hour for guests to mix and mingle at and offering an elaborate variety of hors d'ouevres to keep them happy too! Without further ado, let's see this stunning fȇte! Firstly, one of the more unique parts of this wedding was that the couple chose to host their wedding ceremony at Red Butte Garden's Rose House, which is actually next door to the Natural History Museum of Utah. We LOVED this idea to host the celebration at 2 different venues! Also, we hosted a little pre-ceremony cocktail hour (even on top of the extended cocktail hour during the reception) and of course, we had beautiful signature cocktails for the guests. LOVE! What an entrance! The guests were treated to the gorgeous natural surrounds as they made their way to the wedding reception. Simply gorgeous! Simple, clean, modern design was in full force here - and what a gorgeous impact it made! FUSE Weddings and Events and Orchid Dynasty put together an AMAZING design that really fit in perfectly with the existing space. And how cool are those branches as centerpieces? They complimented the green glass accents beautifully! Another look at this beautiful table, because, why not?! Simply perfect. We love putting a simple, beautiful menu on each plate. Not only is it informative, but it gets the guests excited for what's to come! And, boy, were they in for a treat! As I mentioned before, we are seeing longer, more elaborate cocktail hours more and more often. This wedding was a perfect example of this trend! Kendall (the bride) wanted a longer cocktail hour as this was her favorite part of every wedding she has ever attended, so, we planned a lot of wonderful passed hors d'oeuvres to keep everyone happy! These Petite Quesadillas with Avocado, Brie, Kalamata, & Roasted Red Pepper and Lamb Lollipops with Mint Pesto were only the tip of the menu 'iceberg'! We also served Watermelon Cube Skewers with Balsamic Reduction & Mint Chiffonade and Sweet Pea Mash with Roasted Tomato & Focaccia Crisp. Yum! And doesn't our amazing staff look awesome passing these delicious bites to the guests? We think so! Last, but certainly not least, we rounded out this fantastic offering of hors d'ouevres with Smoked Salmon, Capers, Olive Oil on Frozen Slice of Lemon; Bacon-Wrapped Dates with Cold-Smoked Goat Cheese; and Lump Crab with Key Lime Juice, Jalapeno, Sea Salt on House Potato Crisps. Seriously delectable! What a view! The guests not only were treated to amazing eats, but these stunning views and a bluebird sky! This is certainly one of the most unique elements that NHMU boasts. When the guests were welcomed inside for dinner, they still were treated to those signature views while they dined! The floor to ceiling windows are STUNNING! Another view of the guests getting ready to enjoy a fantastic plated dinner! Plus, doesn't NHMU just look AMAZING?! First up, the guests were served Snuck Farms Baby Butter Lettuce Head with Parmesan and Lemon Zest, with Honey Citrus Vinaigrette, and finished with Sea Salt. We also pre-set a Mini Herb Sourdough Bagette with Compound Herb Butter Paddle at each guests seat, which looked amazing! A perfect summer menu first course! Even with the variety of hors d'ouevres, the guests still happily dug into this first course. The guests LOVED it! We also served a selection of 3 entrees so guests could choose what they'd like! (Always such a nice touch to make your guests feel special.) They had the choice of Mesquite-Grilled Trout Filet with Sweet Tomato Jam, Hand Torched Sous Vide Beef Tenderloin with Wild Mushroom Chauseur Sauce, or Vegetable Napoleon with Sweet Tomato Jam. Each entree was served with Marscapone & Asiago Grilled Polenta Cake with Micro Greens and a Fresh Green Bean Bundle Tied with Chive. So good! Such a BEAUTIFUL wedding for Kendall! After the guests ate their fill, they danced the night away... All while enjoying watching the city lights appear which provided the perfect finishing touch to a romantic day. So amazing! And, if you are the kind of couple who wants to really offer a lot of mingling with your guests, we'd definitely suggest an extended cocktail hour as an option! Such a great idea and lets you really get to visit with all of your special people. Happy planning, everyone! Check out more Salt Lake City, Park City, and Utah County catering at www.culinarycrafts.com! sharing these summery recipes this week because Kaleb’s birthday is on Cinco de Mayo, and he loves salsa! 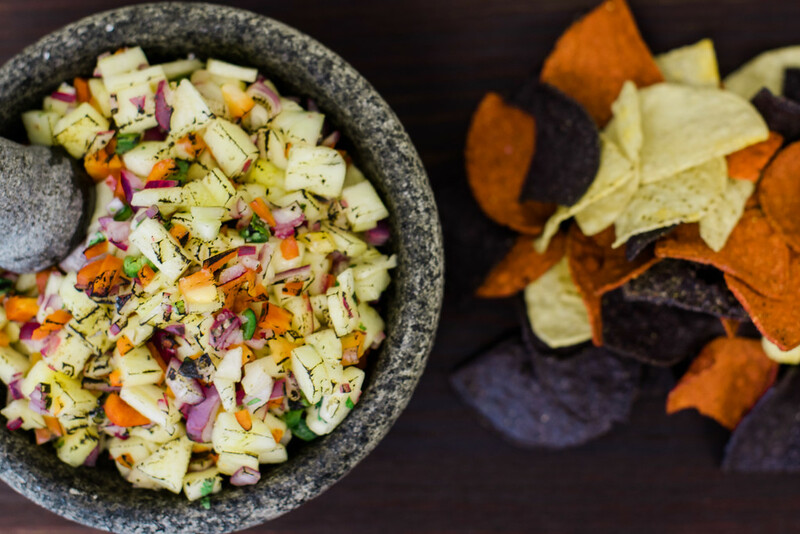 This Pineapple Salsa is one of his all time favorite’s and is wonderful served as a garnish with grilled fish or chicken. Another Craft family favorite is our Black Bean dip. Its creamy richness makes for a delicious dip and also is a great topping for nachos. 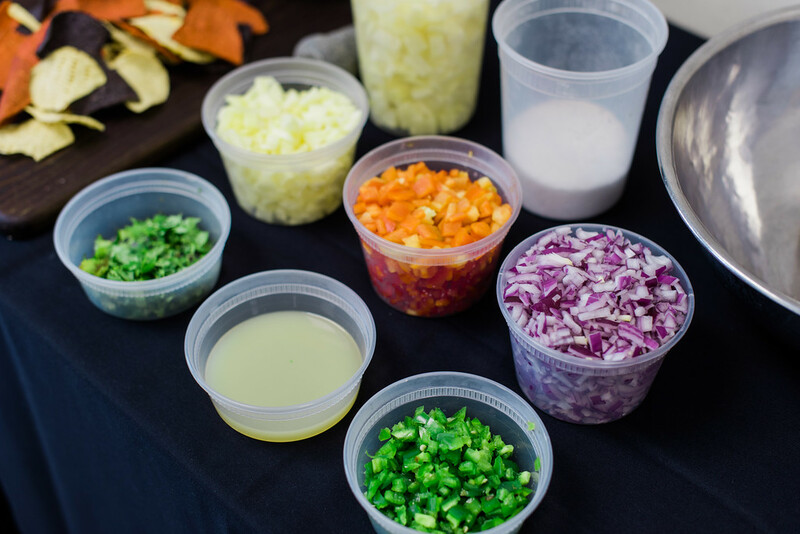 If you’ve got a favorite salsa recipe, we’d love to see it! Email your recipe to Meagan@CulinaryCrafts.com. 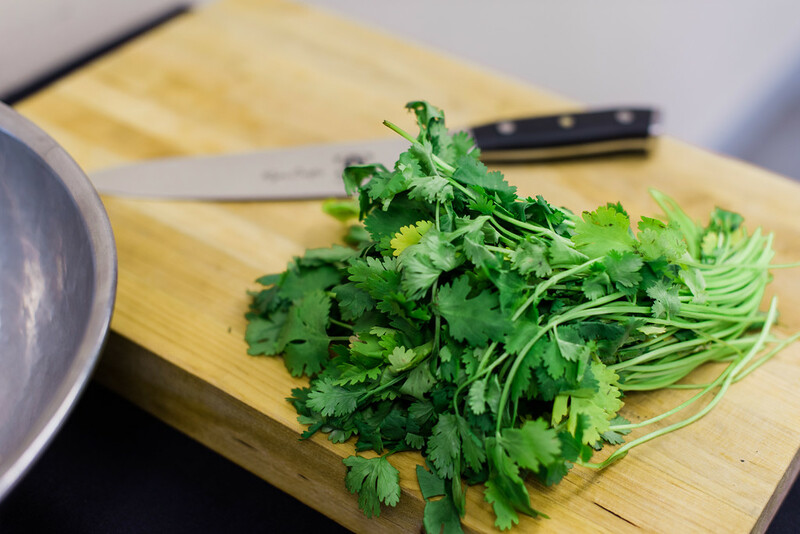 Our chefs will prepare the recipes we receive and we’ll have Kaleb do a taste test and pick his favorites on a Live Facebook video in the coming weeks! Results will also be shared on our Instagram. Wishing you all good times and great food this summer! 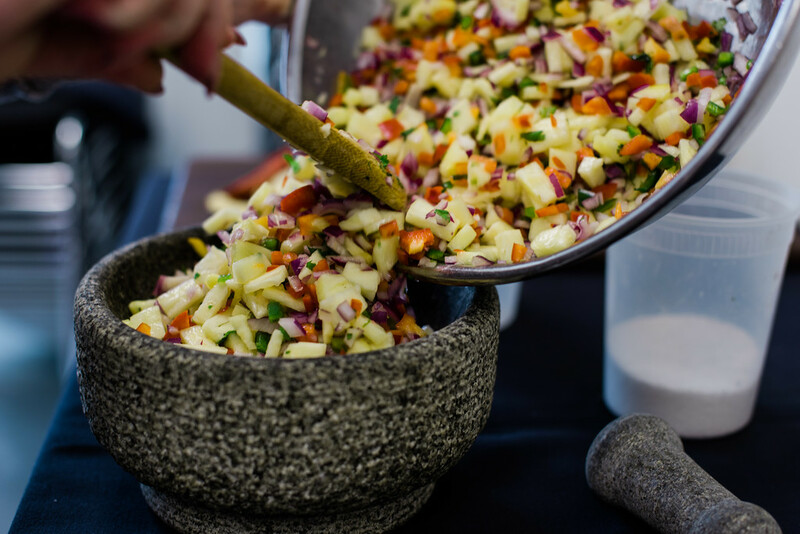 Pineapple Salsa 3 cups pineapple- diced into 1/4-1/2" pieces 1 cup red pepper-diced into 1/4" pieces 1 cup red onion diced into 1/4" pieces 3-4 TBSP jalapeno- finely chopped 2 TBSP cilantro 2 TBSP Lime Juice Salt to taste Mix all ingredients in a bowl, Adjust seasonings as desired, store in airtight container. Good for up to 3 weeks. ** Variation: Grill pineapple before dicing. Black Bean Dip 2/3 cups raw black beans 2 cloves minced garlic 3 oz cream cheese 1/3 cup lemon juice 2/3 cup chopped cilantro 1 tsp cayenne 1 tsp Chili Powder Salt to Taste Garnish 2/3 cups shredded cheddar cheese 1 bunches of diced green onions 1 diced tomatoes 1/3 cup black olives Rinse black beans in a colander. Place beans in a large pot with lid and cover with water about 2 inches above the beans. Let beans soak for and hour. Place pot over medium heat on stove, cover with lid and cook beans until soft about 1 hour. Drain beans and transfer to a food processor. Add garlic, cream cream cheese, lemon juice, cilantro, and seasonings. Puree until combined. 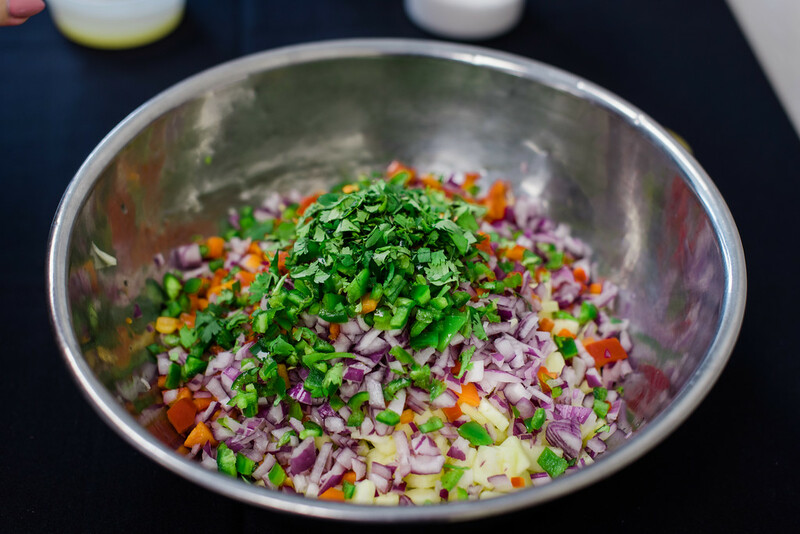 dish into your favorite serving bowl and then add your garnishes to the top. May be refrigerated for 3 days!